Learning about a town’s history by searching for historical murals: While walking through Hallein I came across this mural telling about the transport of salt boxes along the Salzach River. 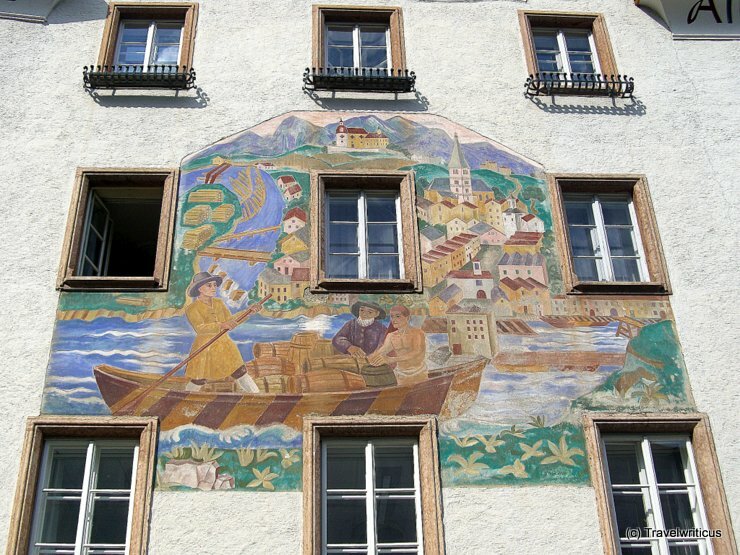 This entry was posted in Murals and tagged Austria, Hallein, Salzburg, Tennengau by Travelwriticus. Bookmark the permalink.